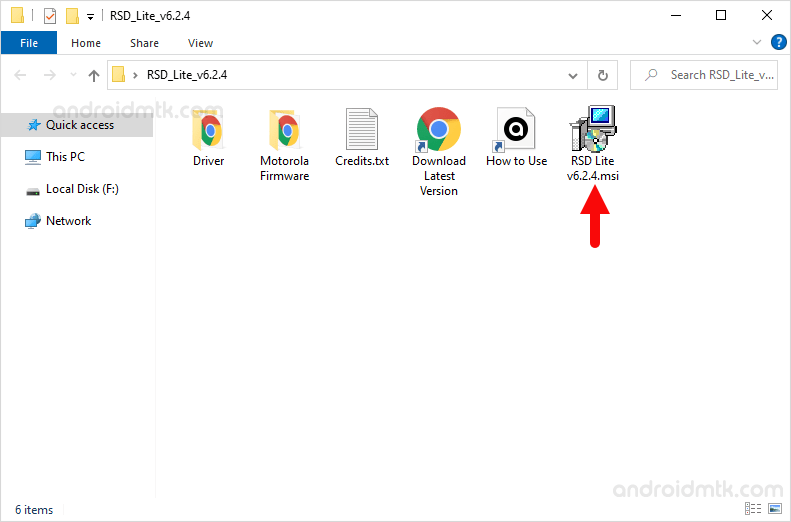 These are the instructions to use RSD Lite Tool to flash Stock Firmware on Motorola Smartphone and Tablets. Requirements: You need to have a Motorola Smartphone or Tablet to follow the following guidelines. 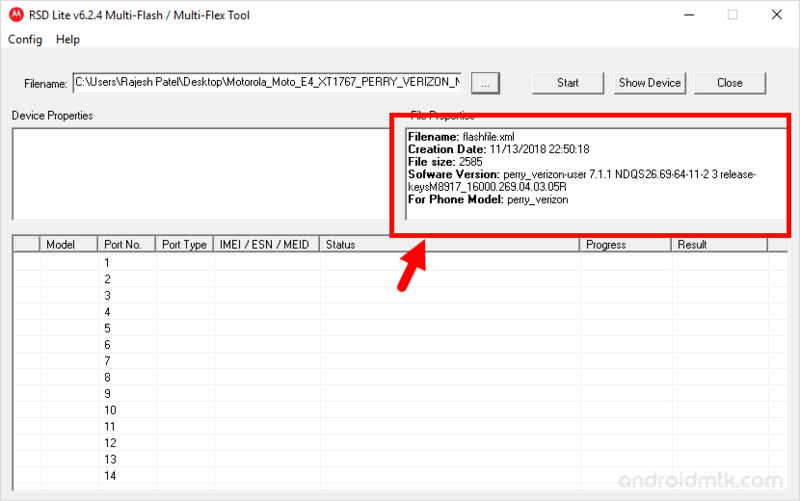 If in case you are not having any Motorola Device or your device is not built by Motorola Mobility LLC, then the following tutorial will not work for you. 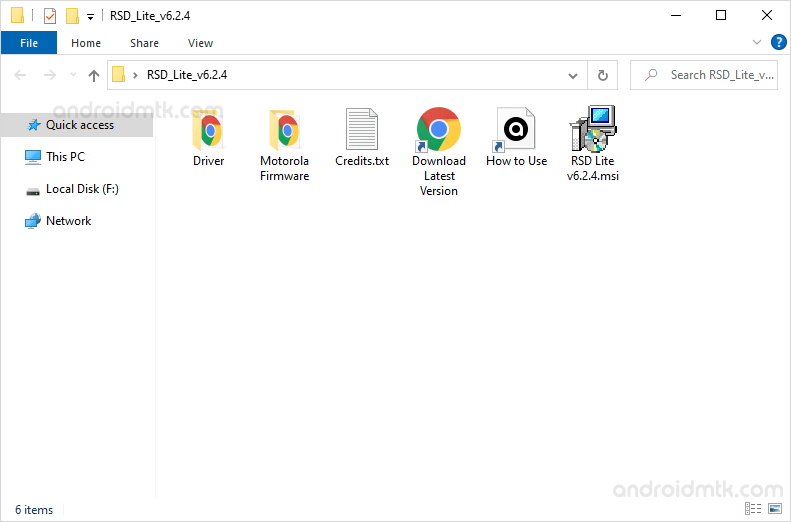 Step 1: Download and install the Official Motorola USB Driver on your computer. 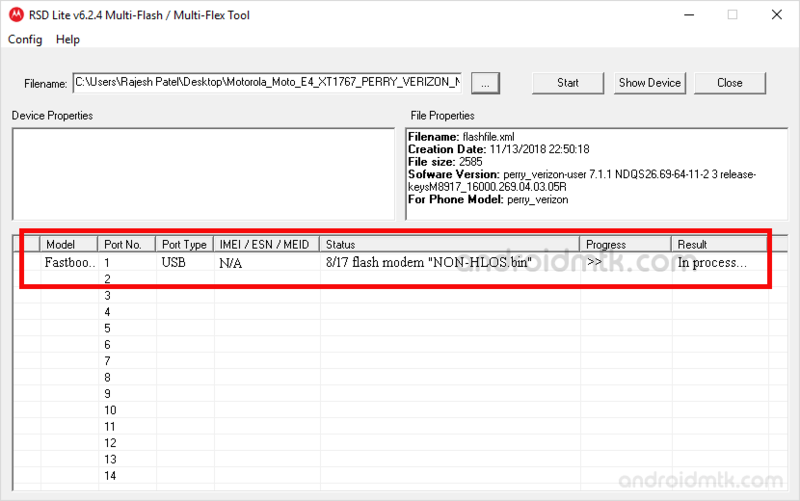 If in case you have already installed the Motorola USB Driver on your computer then SKIP this step. 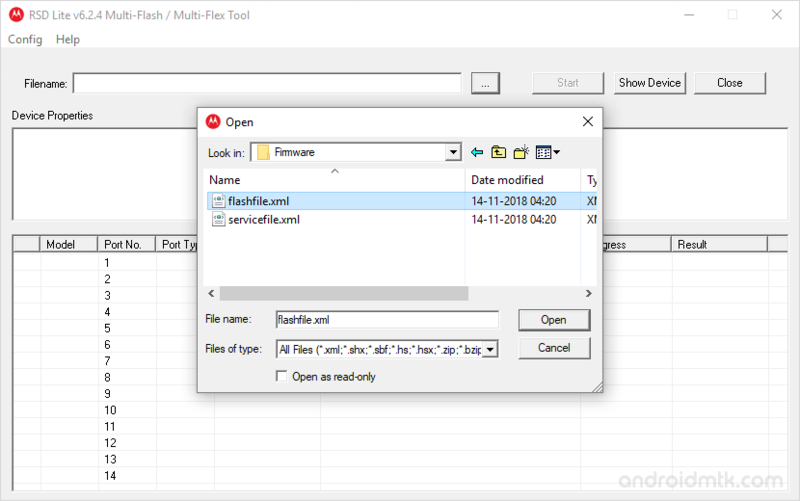 Step 3: Now, Open the RSD Lite Tool Setup and install it on your computer. 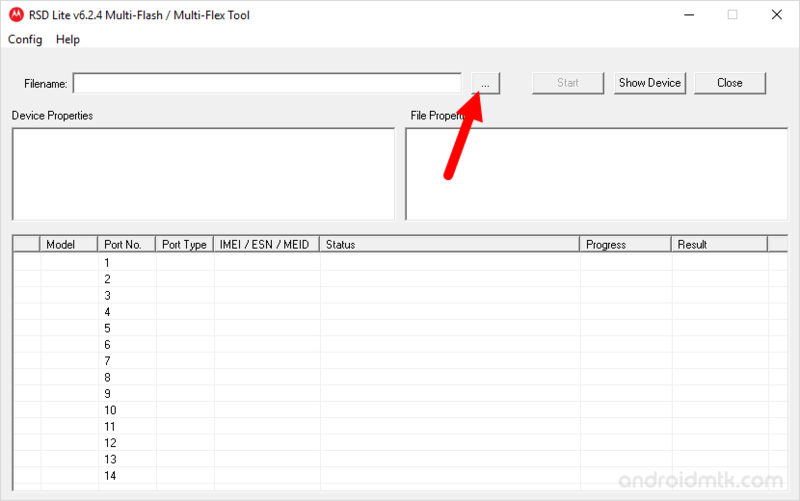 Step 5: Now, Click on the Browse button and locate the Stock Firmware that you wanted to flash on your Motorola Device (assuming you have already downloaded the firmware). 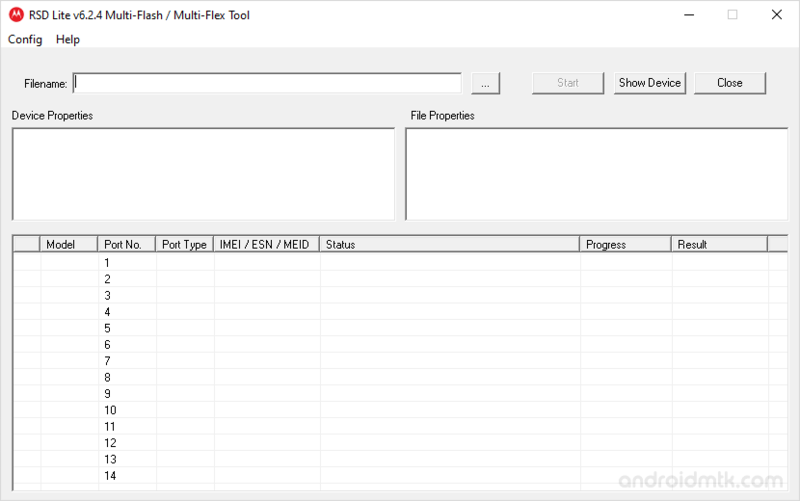 Step 6: Once you have successfully added the firmware, the complete file properties will be shown on the right panel. 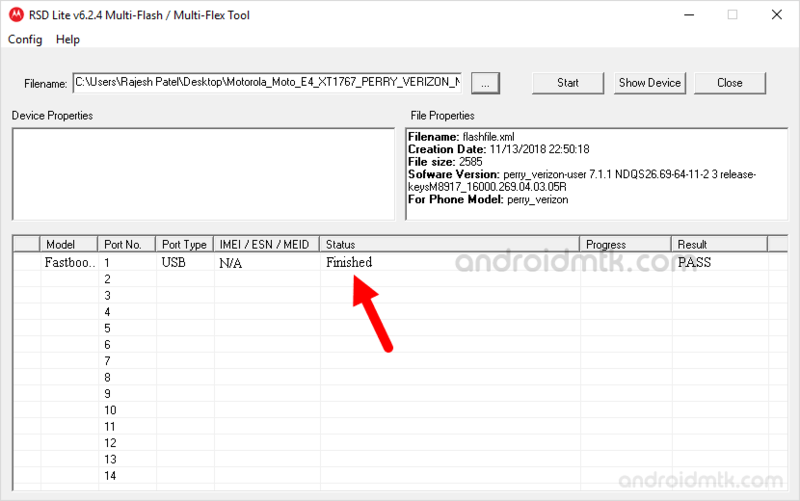 Step 7: Now, Connect your Motorola Device to the Computer (make sure it is in fastboot mode. To boot into fastboot mode: Press Volume Down + Power button). 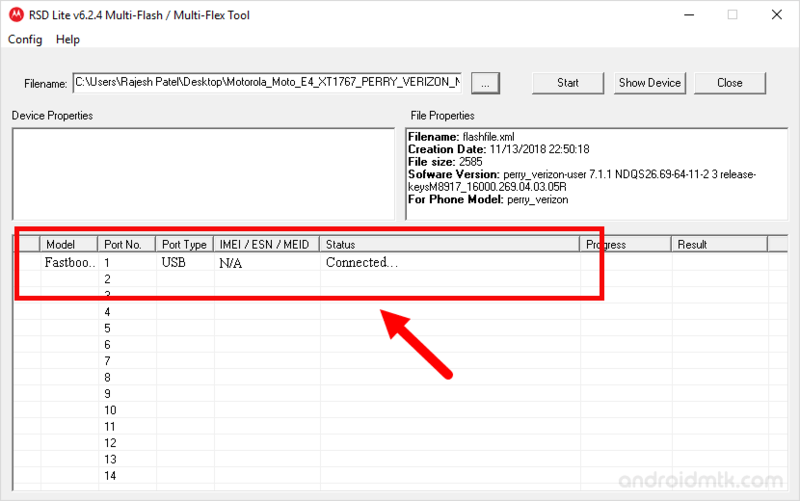 Step 8: Once your device is connected to the computer, it will be shown in the device list area. Step 9: Now, Click on the Start button to begin the Flashing or installing process. Step 10: Flashing or Installing process may take upto 5-10 minutes to complete (depends on the size of the firmware). Step 11: Once Flashing process is completed, you will be able to see the Finished Message. Step 12: Now, Disconnect your Motorola device from the computer and Restart it. Congratulations, you just learned to use RSD Lite Tool to Flash the Stock Firmware on any Motorola Device. [*] Compatibility: RSD Lite Application is Compatible with Windows XP, Vista, Windows 7, Windows 8, Windows 8.1 and Windows 10 (x86 or x64 bit). Though Windows 10 users might face some device connection issue.